Our school emphasizes on holistic education which is based on the principle that each child be nurtured and educated through both academic and co-curricular activities. 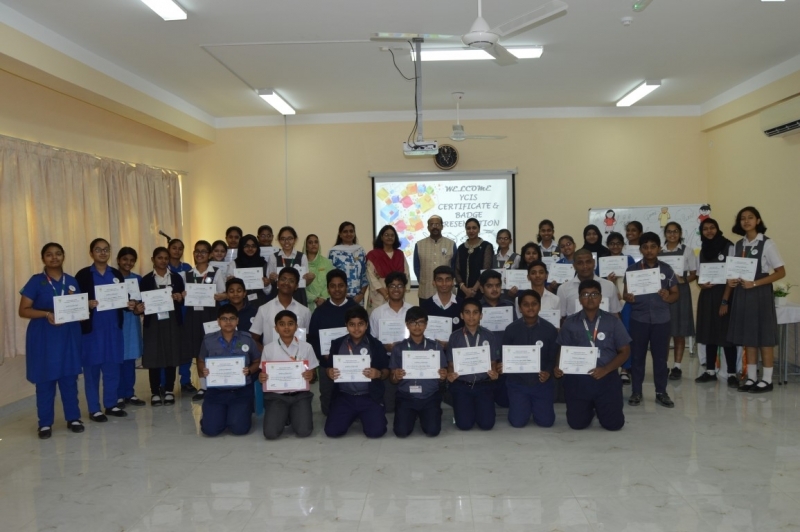 Considering Voluntary Social Service as part of holistic education, the Board of Directors, Indian Schools in Oman, encourages students to contribute selflessly for the cause of community. It empowers students to feel, experience and understand different walks of social life while also helping them develop their personality and ultimately, becoming responsible human beings. In order to inculcate and promote the habit of selfless volunteering among the students of Indian Schools, the Board has decided to constitute an award – ‘Young Communitarian of Indian Schools’ with effect from the current academic year. Ms. Indira Sukumaran the YCIS coordinator explained the objectives, working model and implementation of YCIS to the volunteers through a power point presentation on 12th Nov 2018. YCIS has carried out two projects. Under the category of preserving the environment the volunteers conveyed a message to be proactive in taking care of where we live in by cleaning the Sohar Sports Stadium on 16 Dec 2018 after the Sports Day rehearsal. In the second project they cleaned the beach side near Sallan Park during their winter break on 29th Dec 2018, hence emphasizing the importance of preserving marine organisms and raising awareness about negative impact of plastic and waste on environment. YCIS is doing a great job in terms to keep the environment of Oman clean & green. On 10th Jan 2019 organised a function to distribute badges and certificates to the volunteers. Principal Mrs. Sanchita Verma addressed the students and appreciated the work done by the YCIS team. She mentioned that the efforts taken by the team will bring a positive social change and improve the quality of life and quality of environment. YCIS Coordinator, Ms. Indira Sukumaran presented the YCIS report and delivered vote of thanks. She thanked the Principal, Vice Principal and the SMC for their complete support and guidance. She also thanked the Teacher Volunteers Ms. Anam Sheikh, Ms. Shahnaz Khan and all the parents for rendering their complete support to organize different events & appreciated the team for their hard work and efforts.